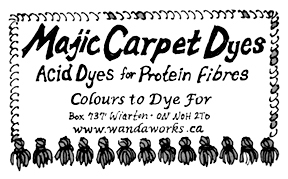 It is for all users of Majic Carpet Dyes. and advice on the use of her dyes. You can ask her questions. Go here, thewelcomemat.ning.com/group/majic-carpet-circle to take part, it's free!